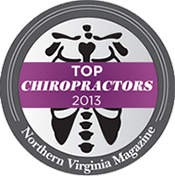 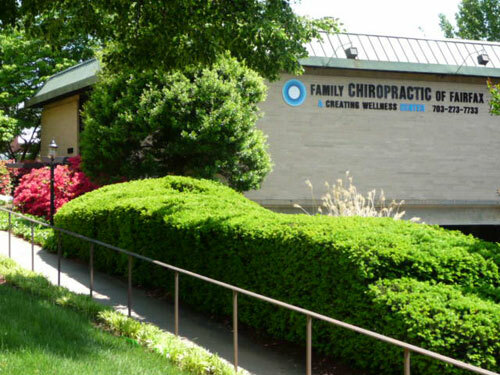 Our office is a free-standing tan brick building located on Main Street about ¾ mile west of Old Town Fairfax. 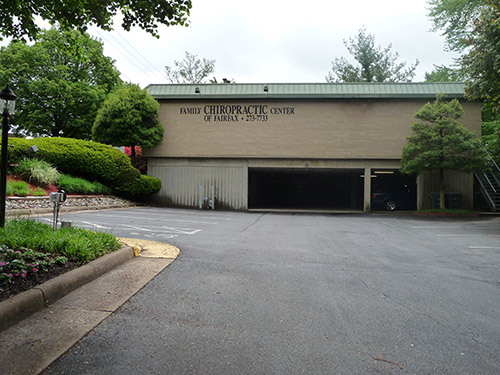 We have plenty of easy access parking along with handicapped parking for our patients. 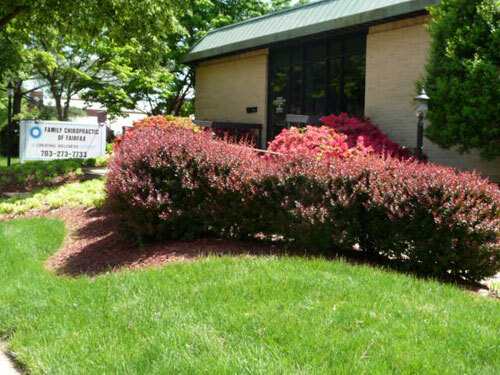 We have both ramp access for wheelchairs and steps to our front door. 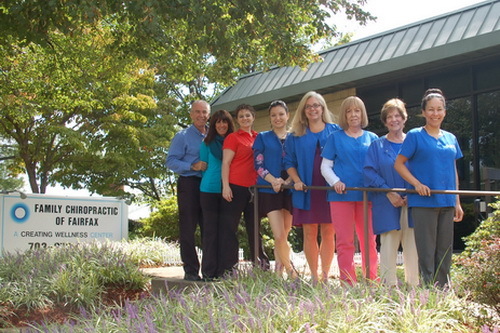 Beth will brighten your day with a smile at the front desk. 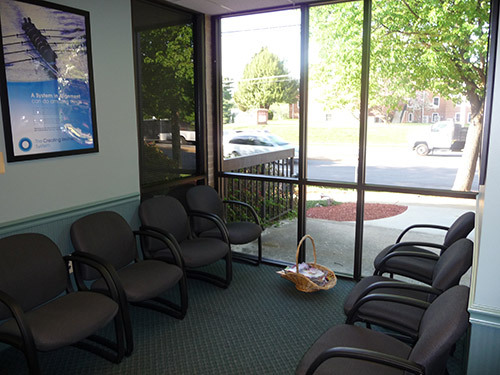 Yes, you can daydream in our waiting room for a brief time as you watch the cars moving through the city. 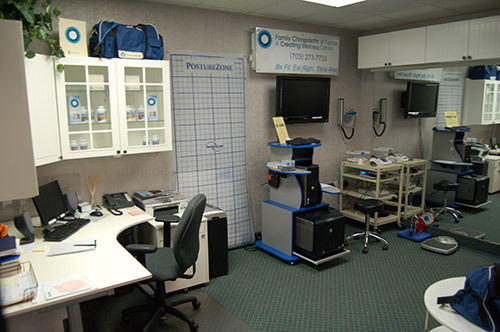 We get to know you better as we talk with you in our Consultation Room. 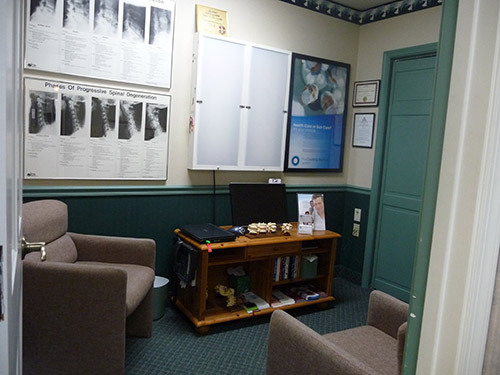 We personally take your x-rays to make sure we know that you are positioned properly. 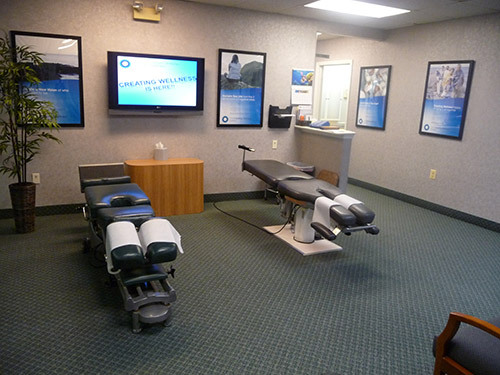 We provide both intermittant traction and gentle spinal adjustments in our family room. 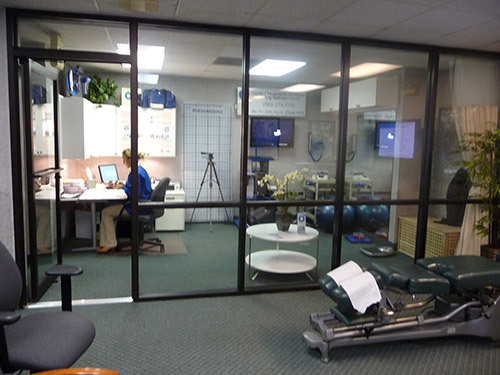 Within our Creating Wellness Center, we turn back the hands of time to help you lose weight, get stronger and restore vitality. 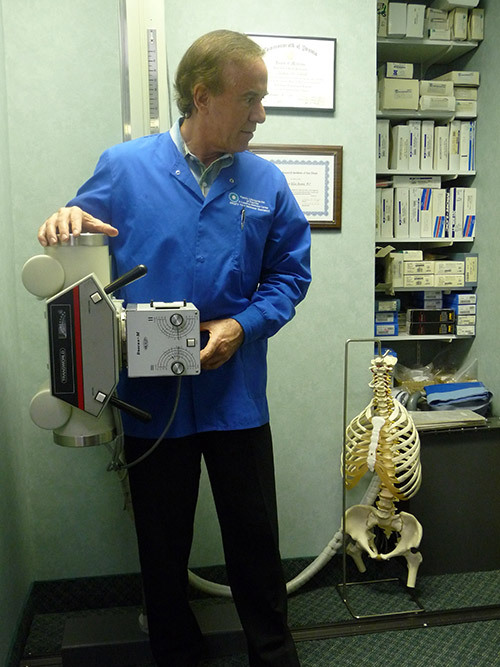 Our diagnostic facility helps us pinpoint what you need to improve your wellness. 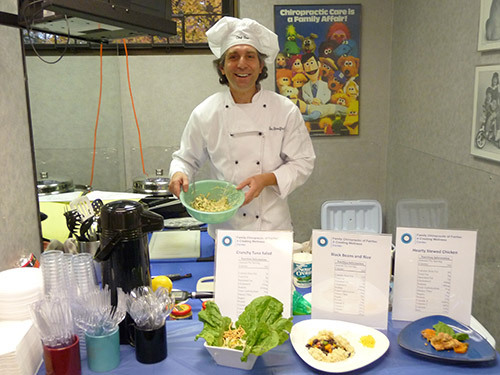 Our Wellness Center Chef Dan will help show you how easily healthy meals can be prepared for you and your family.